The announcement "Live happily with ats picturesque reprieves noida 9711836846" does not find available, invite you to visit the following similar announcements. Live the rapturous life at prominent location of noida extension, ace the vibrant group presenting their marvelous designed residential project ace parkway. 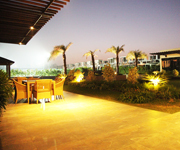 it is fully loaded with the ultramodern and natural amenities.